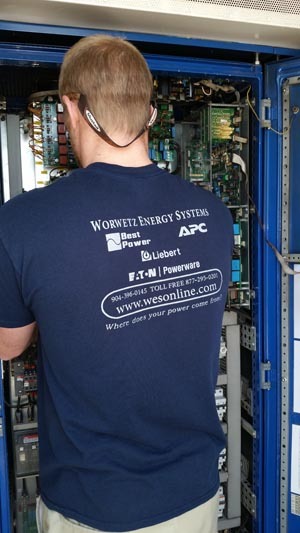 WES maintains uninterruptible power supply systems manufactured by APC, MGE, Best / Powerware, Mitsubishi, Tripplite & Liebert. Don't wait until its too late: get a preventative maintenance plan today. Worwetz Energy Systems offers Planned Maintenance Services designed to help ensure the longest productive life of new or existing back-ups systems to suit many budgets. Please, forward inquiries to sales@wesonline.com. When should I replace my backups' batteries? Sealed Lead-Acid - Absorbed Glass Matt (SLA-AGM) batteries usually last between 3-5 year. If you have many power outages, use el cheapo batteries, or keep your environment at temps higher or colder than 75F, they may fail sooner. No, we do not rebuild batteries. 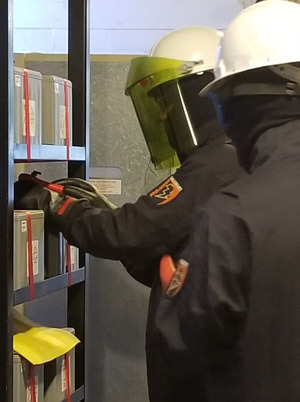 WES may place batteries in OEM packs, but batteries are built by only a few suppliers in the United States. Can WES customize my UPS? We can make changes only if the factory has documented such a change, like extended runtime or nominal input voltage. No. We don't touch your service panel or do wiring. We do "Startup" and troubleshoot repairs. Our speciallly designed CAT 2 Safety PPE allows our lead technician better vision & reach inside tight battery cabinets. Please, feel free to contact WES with any additional questions or for expert advice, planning, or other queries regarding back-up power.